It’s no accident that you can’t say the word without first saying, “ahhh.” The practice of aromatherapy promotes relaxation and relieves stress, and may also promote other, more direct health outcomes such as boosting the immune, respiratory and circulatory systems. 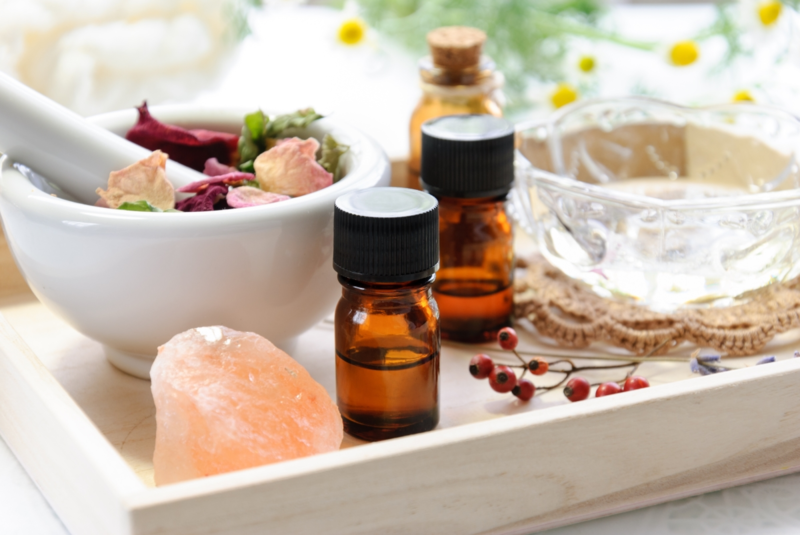 The essential oils themselves have been recognized and used for thousands of years, and the more formal practice of aromatherapy developed into a cohesive study about 100 years ago. Essential oils can either be simply inhaled, or inhaled while being applied directly to the skin. In this case, they are often combined with other natural ingredients such as vegetable oils, herbs, sea salts, and clay. While not a replacement for traditional medicine, aromatherapy can be a wonderful complementary health treatment. Our sense of smell is also closely linked to emotions and memories, which is why the scent of freshly baked bread may just take you back to your grandmother’s kitchen. In order to get the most benefit from an aromatherapy treatment, your therapist will take a holistic approach. It’s important to treat the body and mind as a whole rather than as a list of discrete symptoms. For this reason, it’s also important to find a properly trained aromatherapist. Maximize your outcomes by being honest and open about what you hope to achieve from the session, breathe deeply during the session, and take time afterwards to relax and slowly step back into your day. Here at Salon D’Artiste we offer a range of aromatherapy-based services. From our Aromatherapy Deep Pore Cleansing Facial to our Aromatherapy Body Massage to our Aromatherapy Body Wrap and Thermal Wrap treatments, you’ll find relief and a sense of wellbeing that will linger beyond your appointment time.If you’re ready to breathe deeply and relax, or if ready to update your look, Salon D’Artiste can help you look and feel your best. For an appointment, we can be reached at 610.687.2020 or see us at the salon at Eagle Village Shops, 205 Lancaster Ave #2, Wayne, PA 19087. Want to make an appointment instantly? Use our app! Our app is available through the Apple Store,Google Play, or Amazon.